Streamline Landscaping, Inc. has been an established and fully insured business in Cook County since February of 2004. However, Streamline’s roots go much further back in time than its incorporation shows. 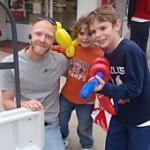 Owner Jason Buege has been providing his customers with quality landscaping services for over 15 years. What began as a small lawn maintenance company has quickly blossomed into the full service Streamline company you see today! Along with the many changes and additional services provided through the years, there are some things that still haven’t changed. Streamline is a locally owned and operated company, and it means big advantages for its neighbors. 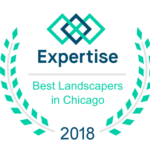 Just a portion of the villages and towns that Streamline Landscaping, Inc. services are: La Grange, Western Springs, Hinsdale, Countryside, Indian Head Park, Downers Grove, Brookfield, and Burr Ridge. Let Streamline Landscaping make your next outside project a beautiful success!